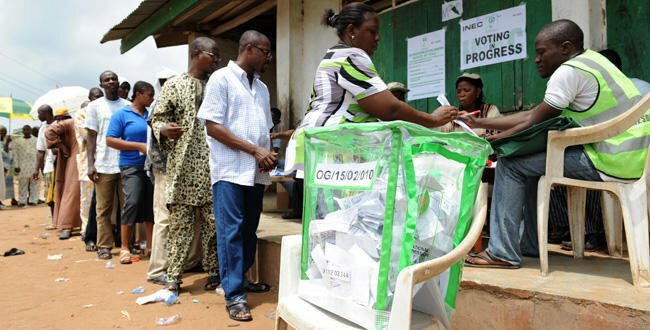 The Conference of Nigeria Political Parties (CNPP) has commended the Independent National Electoral Commission (INEC) for its preparedness ahead of Saturday November 18, 2017, governorship election in Anambra State. The umbrella body of all registered political parties in the country, however, warned all stakeholders in the election against manipulation of the process to thwart the wish of the people of the state. In a statement by its Secretary General, Willy Ezugwu, on Thursday, CNPP urged civil society groups and other accredited election monitors in the state, including security agencies, to be on guard and ensure that any form of electoral fraud was nipped in the bud. “We are happy with INEC so far from our the assessment of the level of preparedness of the Commission and we urge stakeholders and security agencies to ensure fairness and maintain level playing ground as the people of Anambra go to polls on Saturday. “All accredited election monitors and the civil society groups must be alive to their civic responsibility at this time to ensure that the popular wish of Anambrarians prevail after the polls. "It will be in the interest of democracy and good governance if the stakeholders ensure strict adherence to the rules of the game and uphold the Electoral Act as the outcome of this election will determine the level of confidence of Nigerian ahead of the 2019 general election. "Therefore, we impulse Anambra people to shun any form of violence and report anything that could lead to a breakdown of law and order to INEC and security agencies. “We also urge the electorate to troop out in their number to vote the candidate of their choice to enthrone good governance and ameliorate the hardship being faced by Anambrarians. “Your vote is your voice; it is time to speak with your thumb to determine the future of Anambra State. So, vote and not fight”, the CNPP counselled.